Larus cachinnans hybrid 5CY PLG DN-? October 12 2007, Pohlsche Heide, Germany. Picture: Armin Deutsch. 5CY hybrid Caspian x Herring Gull, Pohlsche Heide, Germany, October 12 2007. 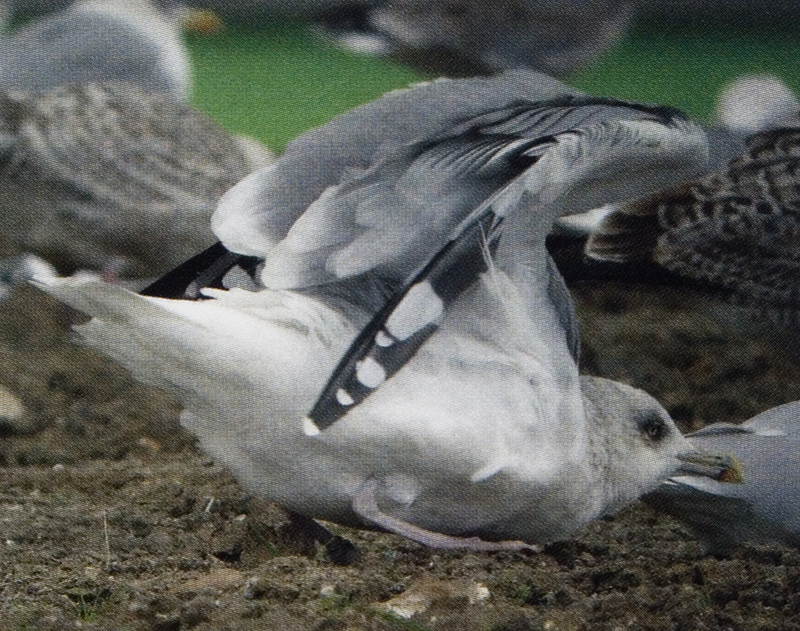 Mother known as Caspian, father as Herring Gull. 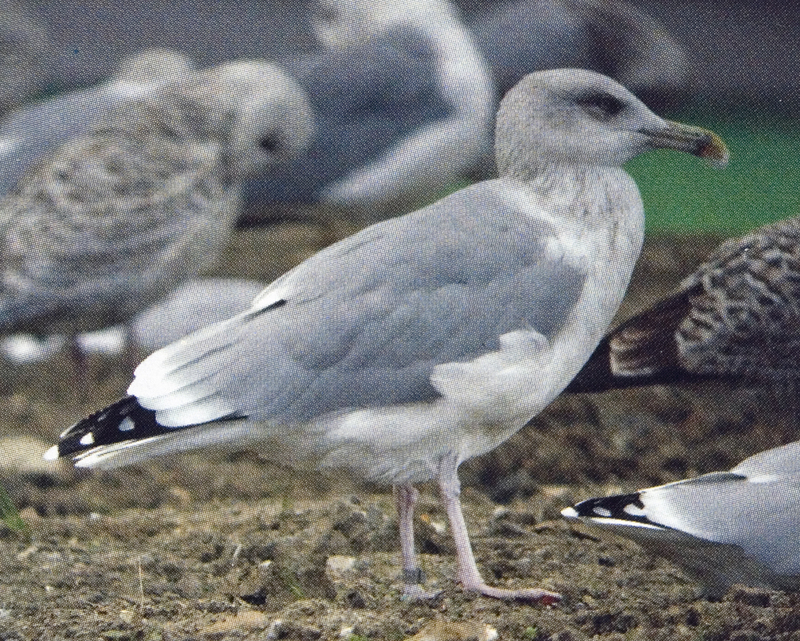 Its similarity to Caspian is evident in the structure (longish bill) and pale bill colour; on the other hand, its pale iris, P10 pattern and moderate head-streaking are all pro-Herring Gull traits. Overall, this bird is not eye-catching. It may go unnoticed, but if detected this combination of traits should preclude identification as a pure Caspian.